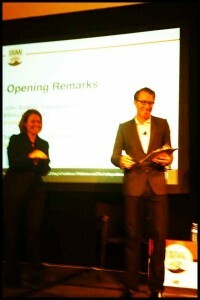 The Federated Media dynamic duo (Deanna Brown and John Battelle) kicking off the FM Signal in San Francisco last week. 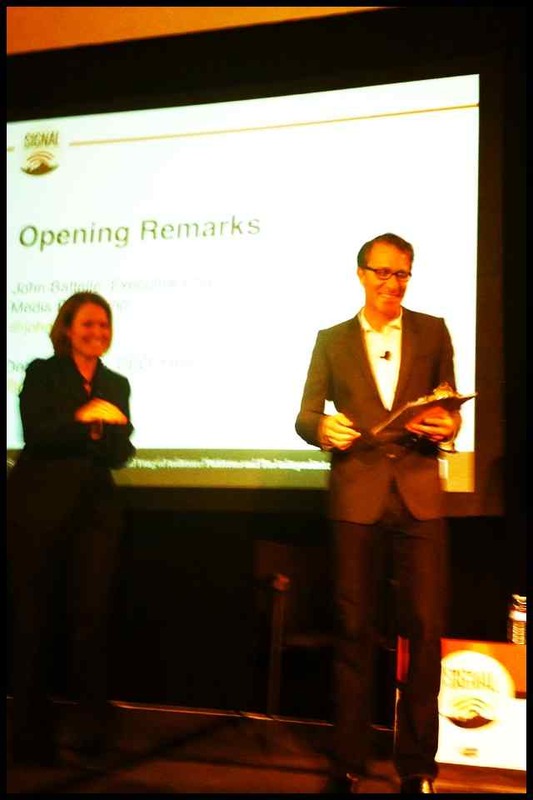 I attended the Federated Media Signal event in San Francisco last week. Federated Media Chairman John Battelle made a point from the main stage about the importance of increasing the visibility of women in the tech industry in a key way – more women speakers at conferences. Given that women represent less than 20% of speakers at conferences, this is a much-need call to action. As Nilofer Merchant stated during the Tech Superwomen panel on mentorship at SXSW this year, fewer women speakers means that there are fewer role models for women in the industry. 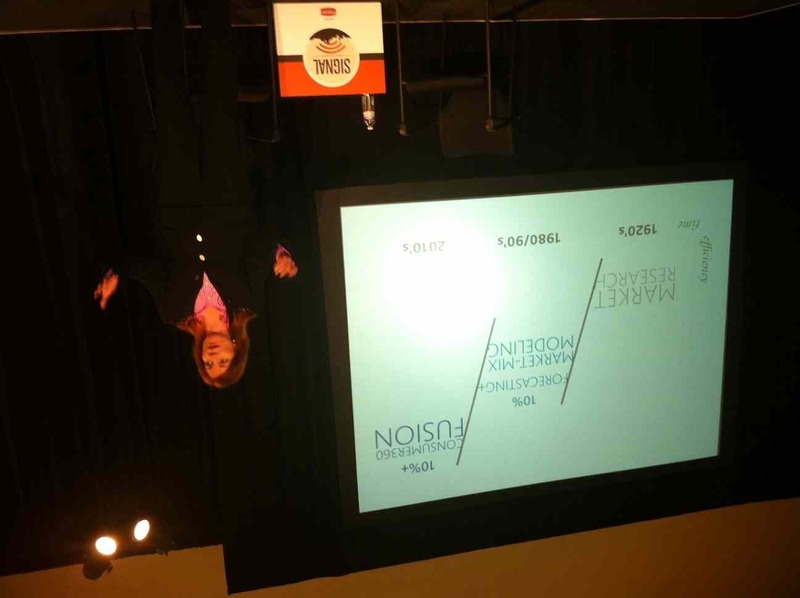 I am happy to report that women were 41% of the line-up of speakers at the FM Signal conference. Here are five of my (mobile phone) photos from the event of Tech Superwomen in action. Erin McPherson (head of video programming and originals at Yahoo!) gives a “high order bit” during the FM Signal on March 21. 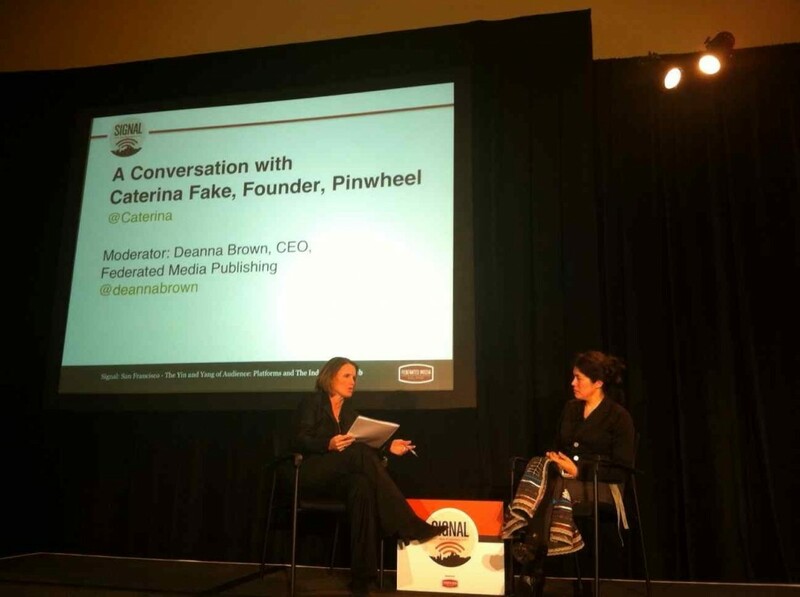 Deanna Brown, CEO of Federated Media, in conversation with Caterina Fake, Pinwheel founder. 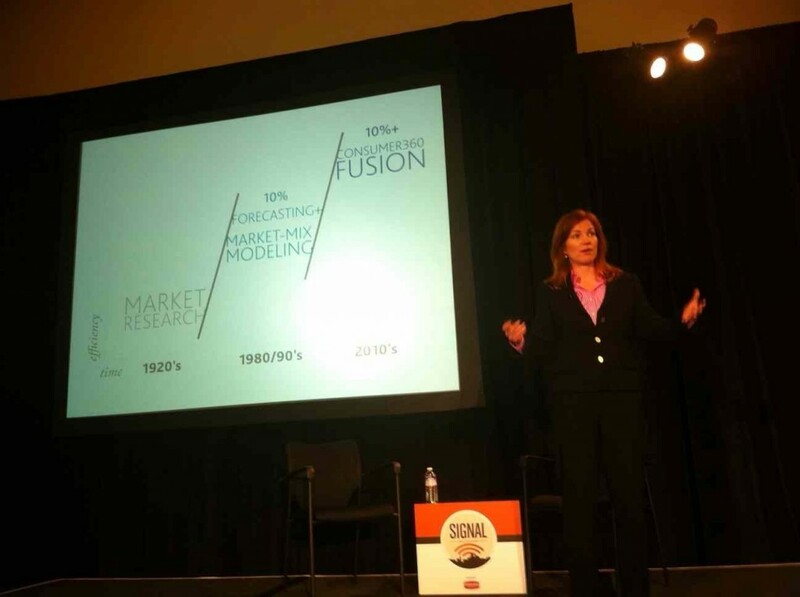 Marcy Shinder (Nielsen) speaks about building brands in a cross-media world. 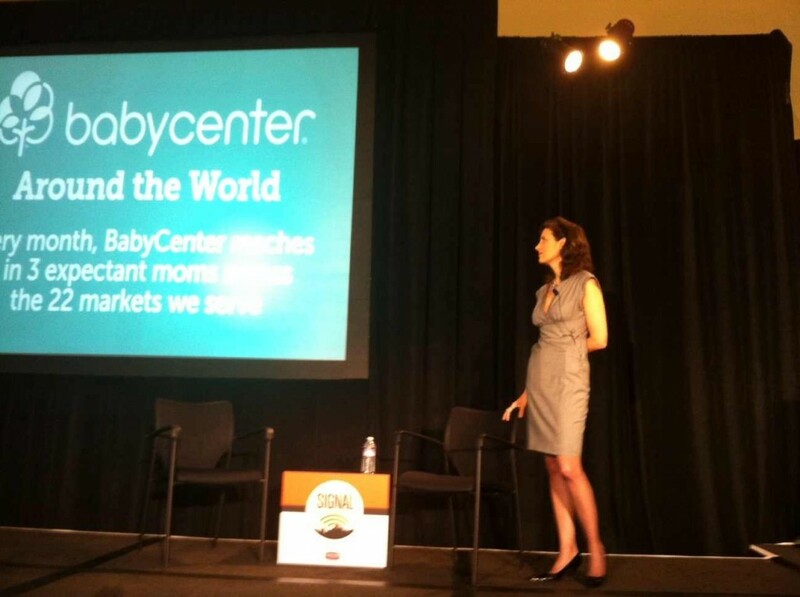 BabyCenter: A Global Insights Engine — Tina Sharkey presents. 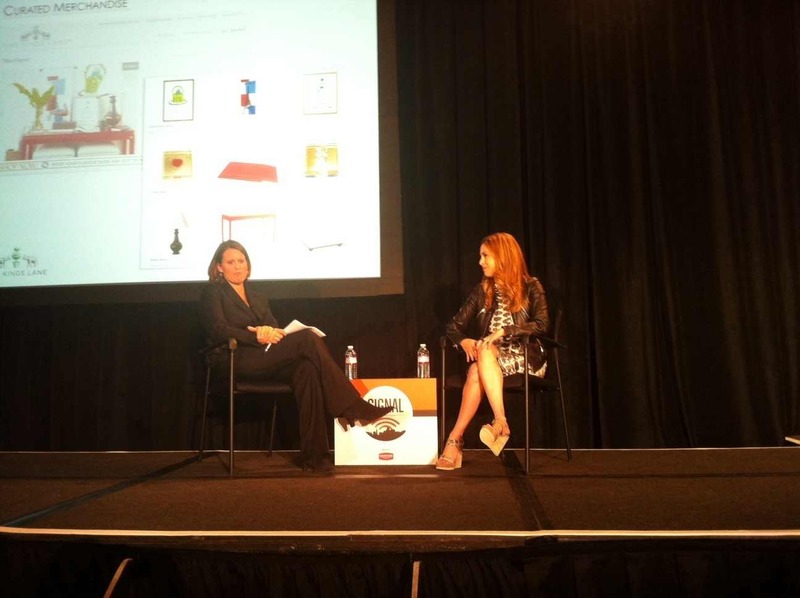 Deanna Brown in conversation with Alison Pincus, One Kings Lane co-founder and chief partnership officer. Check out the wrap-up post for links to all of the presentations. 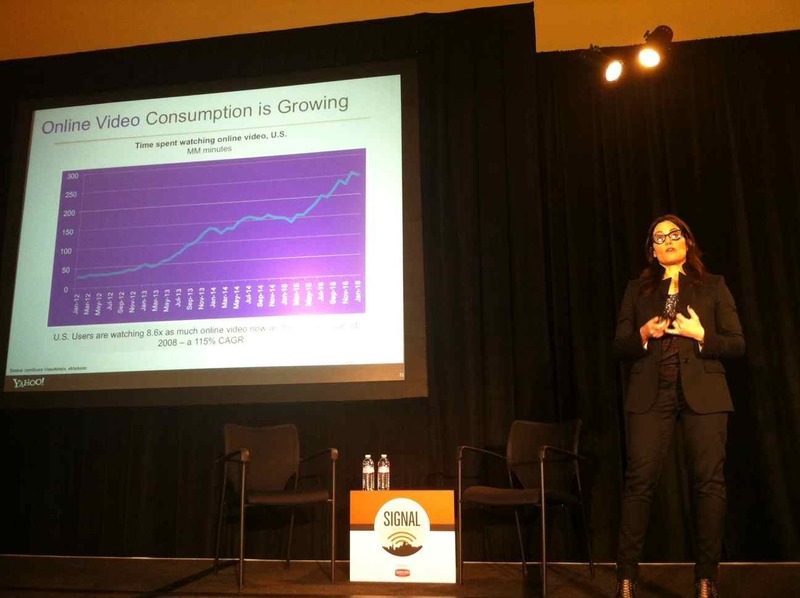 Know of a recent tech-focused event where women made up more than 20% of the speakers? Share below! 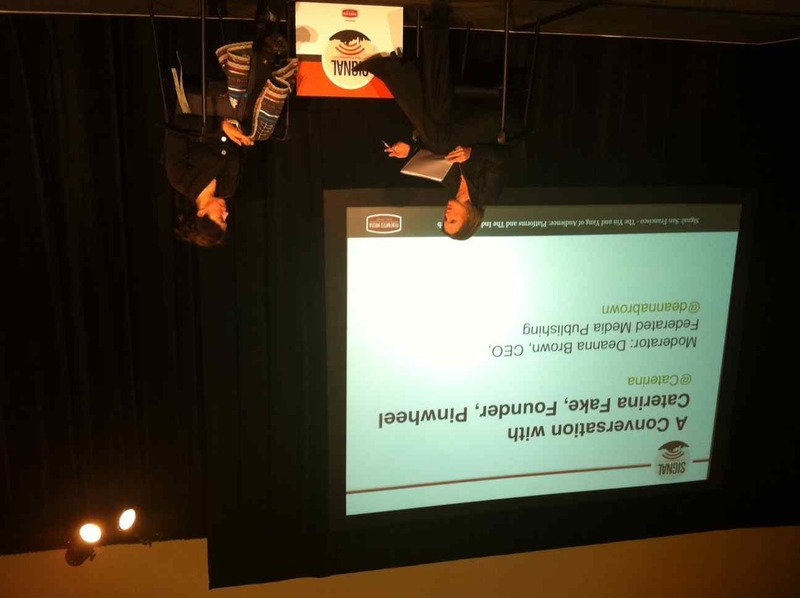 Tagged Alison Pincus, BabyCenter, Caterina Fake, Deanna Brown, Erin McPherson, Federated Media, Federated Media Signal, FM Signal, John Battelle, Marcy Shinder, Mentorship, Nielsen, Nilofer Merchant, One Kings Lane, Pinwheel, SXSW, Tech By Superwomen, Tina Sharkey, woman in tech, women, Women speakers at tech conferences, Yahoo! Hi Cat – As a female conference producer in the tech industry, this issue is one I’m very familiar with and I’m glad to see other conference producers realizing it needs to be a priority. You asked for other conferences that feature female speakers so thought I’d mention our Privacy Identity Innovation conference.